Affordable Air Conditioning has almost three decades of experience helping South Orange County air conditioning customers meet their home cooling needs. Today, we continue to offer a full range of affordable services throughout South Orange County, including air conditioning sales, installation, replacement, repair, and maintenance. Whether you need a new air conditioner, a major or minor repair, a tune-up, or any other air conditioning service, we perform all our work correctly, safely, and on time, every time. We're also committed to environmentally friendly air conditioning, and we do everything we can to help reduce your energy use while maintaining optimal performance of your air conditioner. 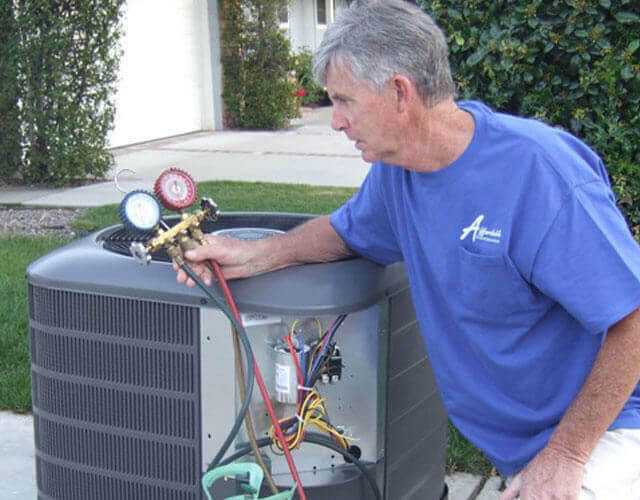 Whatever your home cooling needs, the technicians at Affordable Air are South Orange County's most trusted experts. They're trained and certified to work on air conditioners of all makes and models, including the top brands in the industry, and they can offer honest, economical advice for any air conditioning problem. In addition to providing skilled repairs and expert service, Affordable Air technicians help residential air conditioners run more efficiently and reliably, saving you money on energy bills now and costly repairs later. In fact, if we're already out at your house on a service call, we'll evaluate your air conditioning system at no additional charge. We'll make an accurate assessment of your system and provide expert, cost-effective solutions for improving efficiency, optimizing performance, and increasing lifespan. If you have an old or poorly functioning air conditioner, you can reduce your energy use and utility costs even more by investing in a new energy efficient model. Any of the high efficiency models we carry can significantly reduce your energy consumption, and they can also qualify you for tax credits. Our sales and installation prices are very competitive, on everything from the most economical models to the industry's top systems, and we provide the best warranties available. We even offer free, no-hassle estimates for air conditioner installations and replacements. Call us today to schedule a free estimate or make a service or repair appointment. 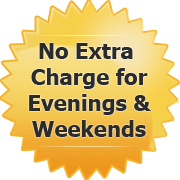 We offer convenient appointment times, and we also provide after-hours emergency repair for problems that can't wait. Clients are always welcome to speak directly with owner Paul Gillon, who has been installing and repairing air conditioning and heating systems since 1985.